Awarded Scholarship for PhD in Political Science from NCAS governed by UGC, 2005-09. 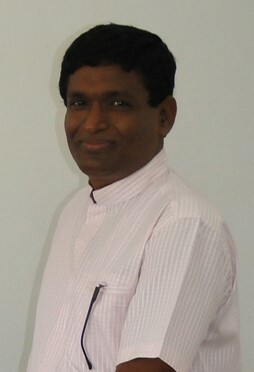 Visiting Lecturer of St. Francis Xavier’s Seminary Jaffna – Political Development of Ceylon and the Government Constitution – Academic Year 1991/92. Supervision of final year projects as the partial fulfillment of the degree. Krishnamohan.T, Conflict Management and Conflict Resolution: Nature and Objective of Third Party Mediation, Neithal, Vol. 3, No. 1, Faculty of Arts & Culture, Eastern University, Sri Lanka, 2005. Revised the Undergraduate General and Special Degree Syllabus in Political Science of Department of Social Sciences in 2014. Conference: World Development Report 2009 & Implication for Sri Lanka , conducted by Institute of Policy Studies of Sri Lanka – 18th March 2009. Seminar on An Introduction to Quality Assurance in Higher Education System , conducted by EUSL, Sri Lanka – August 2002. Students Seminars for GCE A/L in Political Science at Kaluthavalai, Batticaloa, Eravur and Arasadithevu. Developing of intranet for Department of Social Sciences, for the use of Students, Staff and researchers within the University.